Silvester Krčméry was born on August 5, 1924 in Trnava. He spent his childhood and youth in Banská Bystrica. Later on his family moved to Bratislava because of his father´s work. He joined the Catholic Scout League and during his high school studies he fully participated in various Church activities. In 1943 he met with a priest, Professor Tomislav Kolakovič (1906-1992) who intensively worked with university students. It was him who affected Silvester by revolutionary ideas about the place and function of lay people and little Church communities as well as by the Fatima message about the Russia´s conversion. Silvester Krčméry studied at the Faculty of Medicine in Bratislava, continued in Paris and Prague. During the studies together with his friend Vladimír Jukl they organized evangelization and a Catholic formation for students, mainly the medical students in Prague, but also for workers in the Czech borderland. Developing the Lay Apostolate Movement, so called Catholic Action, was one of the main reasons for their four-week arrest and interrogation by the State Security in 1946. In the end of July, 1951 Silvester was arrested and he spent three years in a remand centre. The military court in Trenčín sentenced him to 14 years of imprisonment for high treason in 1954. He spent ten years in different prisons (Banská Bystrica, Mírov, Ostrov nad Ohří) and labour camps. After the release he worked as a physician in Bratislava for over 20 years. 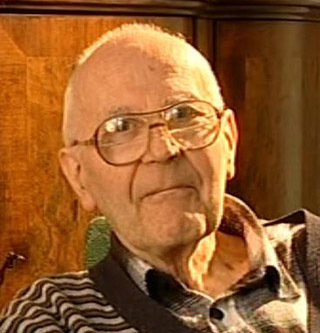 Since 1964 he cooperated with Vladimír Jukl in evangelizing the university students, later on in helping drug addicts, alcoholics, and prisoners. In 1974 he was a co-founder of the secular institute Fatima, where he participated in publishing the samizdat literature and organizing the evangelizing communities, so called groups of the Secret Church. In 1980´s together with V. Jukl they initiated the activity of the Lay Apostolate Movement, which was later on the foundation for today´s Movement of Christian Families in Slovakia, Association of Christian Youth Communities, and eRko - Christian Children Communities Movement.